The Ys series has always been known for bringing its own brand of stylized action RPG flavor to a genre that can just look remarkably bland in comparison. 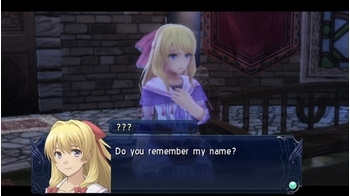 Memories of Celceta is in fact a remake of Ys IV, and marks the first time Falcom themselves are developing this canonical entry themselves, having previously given the reigns to other developers. What they have come up with is more than just some remake: it's a great showcase title for the Vita. The red-haired Adol Christin makes his grand return in the form that he performs best at: suffering from amnesia. After being discovered stumbling into the town of Casnan by the information dealer Duren, he is told that he was last seen walking into the mysterious and dangerous Great Forest of Celceta. Tasked by the newly-appointed governor of the town to map the area, he decides to make his way back inside to hopefully try and recover his lost memories. There he will meet forgotten friends and new adversaries, all the while trying to protect the land from those that seek to destroy it. Adol will come across a lot of forgotten acquaintances on his journey. The story doesn't take any real hit with this kinetic momentum. The different characters that Adol meets during his journey all have their own priorities and their own unique personalities as one would expect, and they all seem genuinely likable people. As Adol seems to always make one hell of a presence wherever he goes, their destinies are intertwined, character development is put front and center over the length of the story with each person playing their own important role without any weak links to speak of. There are very few tropes to deal with as well, especially given how the physically strongest character happens to be a female. The writing is well done (hats off to XSEED for a strong localization), for even if the story is a little generic, there's a lot of life in this world and all that embodies it, supported by a nice pace where not a single moment is wasted. The thing I enjoy most about Ys is that there never seems to be a dull moment during any point of the game. The combat is fast and fluid, with seemingly very little slowdown even when things get incredibly hectic on the screen. 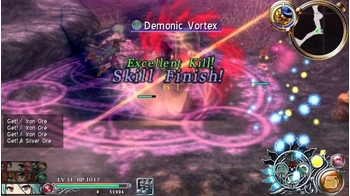 The three-member party system gives players a chance to strategize in every encounter like how there are monsters who are only weak to certain weapon types. Blocking at just the right moment gives characters the chance to unleash critical attacks for a few precious seconds, and dealing finishing blows with a skill or taking advantage of weapon weaknesses also grants bigger rewards afterwards. The boss fights are exceedingly well done, something Falcom has always excelled at, and it feels immensely satisfying surviving this endurance test and beating one of these intimidating monsters, especially on the harder difficulties. The frequent battles are fun and rewarding. There's little backtracking to be found here. All of the treasure, memory fragments, quest markers, and collection points are all pointed out on the map - even making obvious the areas that Adol has yet to explore. At a certain point players are also given the ability to quickly warp to any of the different monuments scattered around the world map. This is great for giving players a chance to make a short trip back to town to stock up right before a boss fight without losing any meaningful progress. Add to it a special item that allows Adol's party to sprint practically at the speed of light, and this game completely does away with any semblance of tediousness. Never before has the series been so accessible either. It's quite a well-rounded adventure with its own unique story, characters (outside of Adol), locations, and mechanics that even newcomers can appreciate. Everything seems built to remove a lot of the frustration that can harm other titles in the genre, whether that is allowing all of the party members to gain experience even while they aren't being used, specified equipment and skills that hone in on a character's ability, very little actual grinding, and much more. It also does a great job as serving as an introduction for anyone looking to get into the series, or really, into Nihon Falcom's brand of gaming itself. 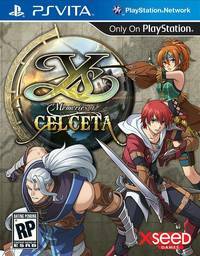 What Falcom is best known for is the sheer amount of hard work their pour into their soundtracks, and Memories of Celceta is one of their best displays of that core strength. Every area of the map brings with it a new song, with each individual piece as brilliant as the last one. It's easily the best part of the game, and makes any single moment pack a punch. Expect plenty of shredding guitars and furious violin playing to overload the handheld's speakers. 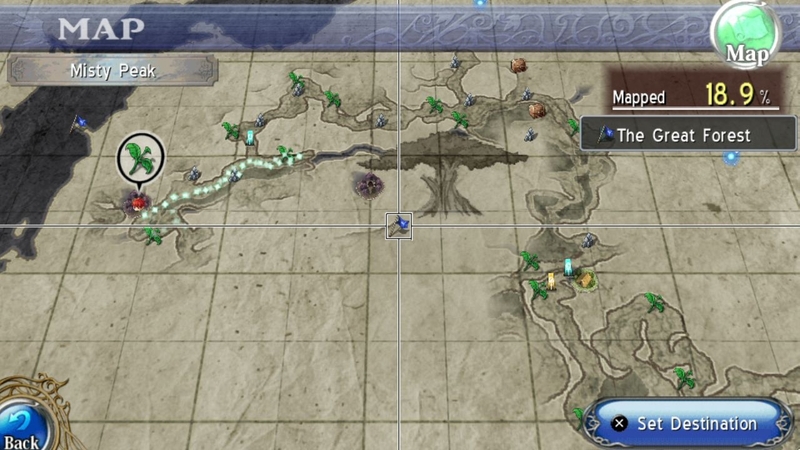 Filling out the map of Celceta is one of many tasks to be done. Making use of the Vita's touchscreen, all of the menus can be navigated with only your fingers This works well when buying or selling a large amount of items where all it takes is a couple finger swipes. There are even a few puzzles that make use of it, but at no point did it feel like the game was forcing me to use this feature at all - it only worked to support an already simple interface. Where things tend to falter a bit is in the technical department. The visuals appear a tad underwhelming when compared to other Vita titles, looking more like a slightly improved PS2 game, although things are moving so fast that I didn't really notice it after a while. Party AI also had its own share of issues as they seemed to prioritize gathering nearby resources over saving their own lives. I even had an issue where the rest of my party suddenly stopped attacking completely for hours until finally doing their jobs again. However, given that pinching in and out on the rear touchpad on the Vita controls their AI tendencies, I am thinking that may have just been user error but I can't substantiate that. Fortunately, the game makes up for it with a painstaking amount of polish and visual detail that keeps the negatives from disrupting what is ultimately a very pleasing experience. Boosted by a great soundtrack; a wide variety of environments and monsters; and plenty of post-game content (including New Game+) to keep players coming back long after the main story is completed. Memories of Celceta is easily one of the best Action RPGs out there right now.